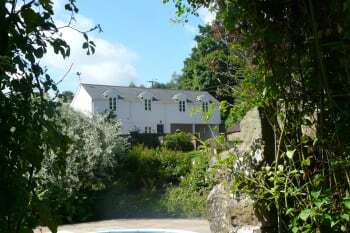 The Buckstone House, home to Doug and Nikki Smith, is set in three acres of gardens and grounds in the village of Staunton, three miles from Coleford in the Forest of Dean and Monmouth in the Wye Valley. The Welsh border runs through the edge of the village, a stone’s throw away. 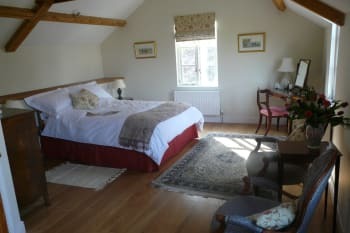 The Coach House, which was converted in 2005 overlooks the lovely garden. The accommodation is a delightful combination of antique furniture, tasteful furnishings and the comforts of modern living and consists of two double bedrooms, two bathrooms, well equipped kitchen and large airy living room. 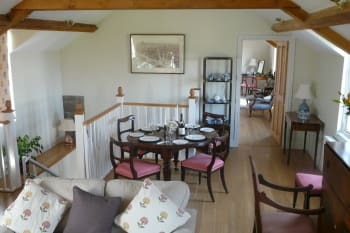 The Coach House has been designed to be disabled friendly and has a stair lift, wide doors and easy access. There is free Wi-Fi access in The Coach House. There are no rooms available at The Buckstone House Coach House for these dates. 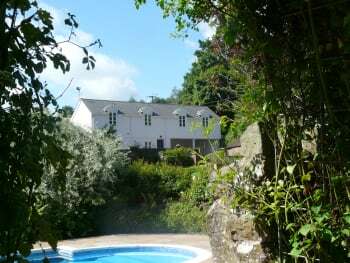 The Buckstone House Coach House is in the garden of the owners, in the village of Staunton, three miles from Coleford in the Forest of Dean and Monmouth in the Wye Valley. The Welsh border is a stone’s throw away. 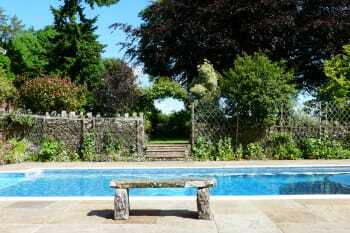 The Coach House, which was converted in 2005 overlooks the lovely garden. 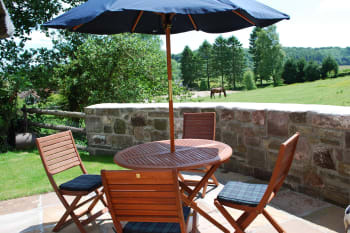 The Coach House is a beautiful home in a lovely location, perfect for enjoying the Forest of Dean and Wye Valley. 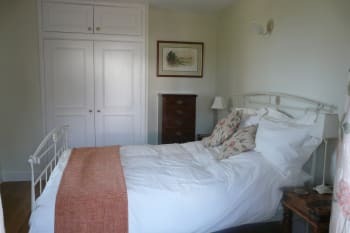 The house is very comfortable and cosy, tastefully furnished with everything you need for a long weekend or a few weeks away. The kitchen is very well equipped and we enjoyed playing some of the board games in the spacious living area. Doug was an excellent host and provided us with lots of great tips for the local area. We definitely hope to return for a longer stay! Definitely have a meal at the White Horse Inn which is walking distance to the house and has delicious food and a great vibe. We also enjoyed a walk around Symond's Yat East and the view from Symond's Yat Rock. Monmouth is a nice little town to explore, and Tintern Abbey definitely worth a trip. We never met the owners as they were away but the email communication was fantastic. Doug was so helpful - the advice about how to find the property was perfect - we would have struggled without it. We didn't really do much as weather wasn't great but some cycling and walking. It was a lovely place to relax and read etc. Thank you so much - it is definately a fab base for the area as long as you aren't relying on public transport. We will definately return. Very nice property all you need. Beautifully quiet and great situation. Beautifully furnished and equipped. 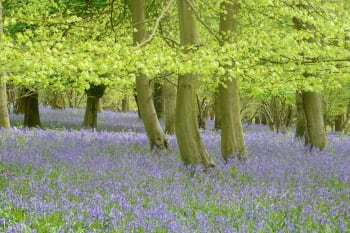 Walks on your doorstep from property and loads more further afield. Tintern Abbey,Clearwell caves,Yat Rock and forest worth visiting as is Lydney harbour,walk along old railway line to harbour. Sugar loaf at Abergavenny if you like steep climb but what a view at the top.Dragon pub down below on rd to Crick very good Sunday lunch. Estera lounge in Monmouth good food and different decor. What a wonderful retreat we had at Buckstone. It was only a short distance from home but it felt like we were a million miles away. 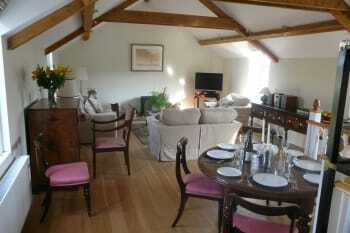 The cottage is really peaceful and is fully equipped with everything you could need and more. We were warmly welcomed and the first night's provisions of eggs, bread and milk were very much appreciated. The cottage itself is set back off a very busy road which you can not hear at all when inside. Due to the poor weather conditions we did not access the swimming pool or tennis courts but they looked lovely and we would return in the summer months. Instead we went on a lovely, long walk through the forest and cosied up in front of the fire at night. I would highly recommend this place! The local pub is more of a restaurant but the staff are very friendly and it's absolutely fine for a post walk drink. The food is meant to be very tasty. We drove to Tintern Abbey and did a circular walk from the old train station to the Abbey. It was really beautiful! !